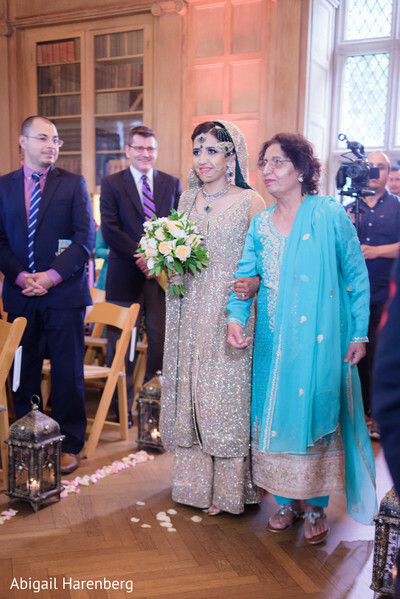 When managing the overwhelming task of planning a South Asian wedding, details that the couple originally wanted to include can sometimes be forgotten in the shuffle. The creative duo of Maria and Bimal brought their big, beautiful bash to life while including oodles of adorable touches! While dressing in their respective suites, they exchanged sentimental gifts and cards that perfectly set the tone for the rest of the weekend. We loved Maria’s gift to Bimal, which included a deck of playing cards containing all the things she loved about him. Too cute! Meanwhile, Maria adorned herself in a glitzy peach gown with hunter green trim that suited their summery theme. 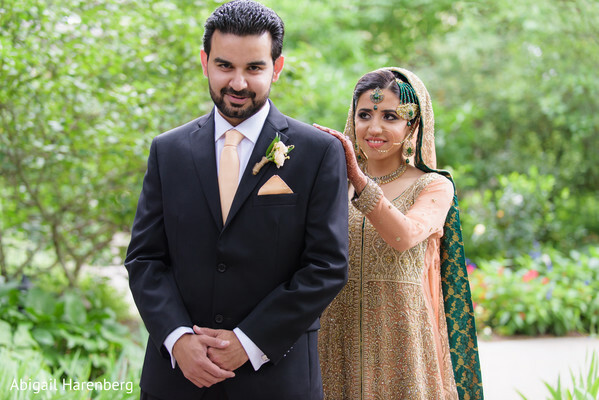 Her pristine hair and makeup was created by Rimsha Khan, and she accessorized with fashion forward jewelry. Maria’s bridal bouquet contained florals from Steve's Flower Market and the couple’s friends handcrafted her bouquet as well as the rest of the floral arrangements. 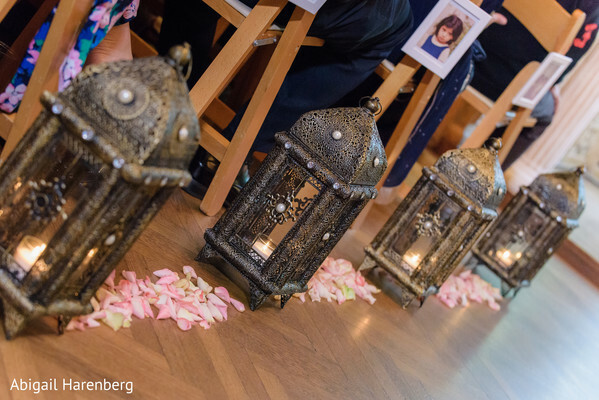 We told you this wedding was filled with special touches! 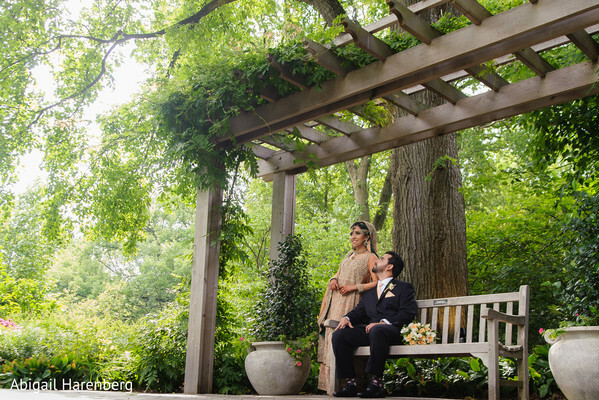 As guests gathered in The Morton Arboretum venue, they waited in breathless anticipation for their first glimpse of Maria. 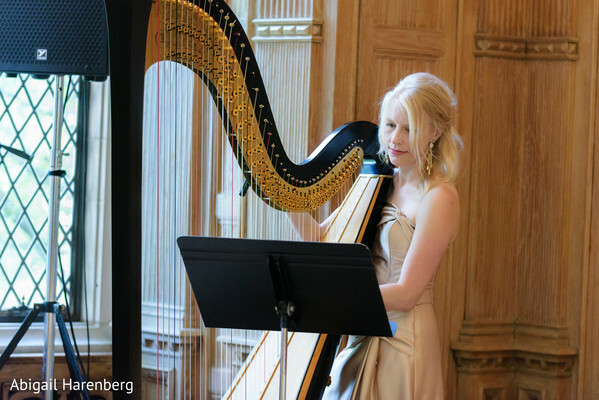 As she floated down the sunshine drenched aisle to the ethereal sounds of harpist Nichole Luchs, they wasn’t a dry eye in the house. 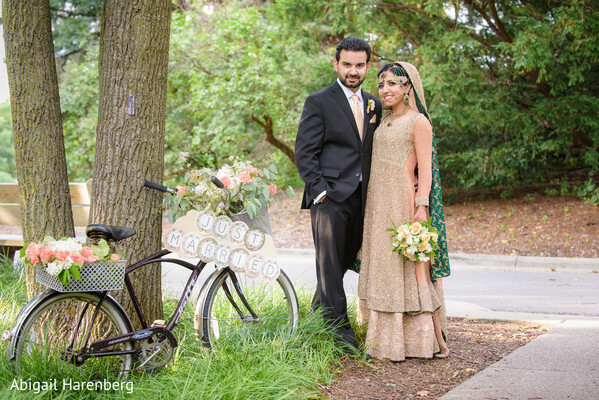 When the giddy couple were finally married, they departed on perhaps the cutest mode of transportation we’ve seen yet - A bicycle covered in flowers! 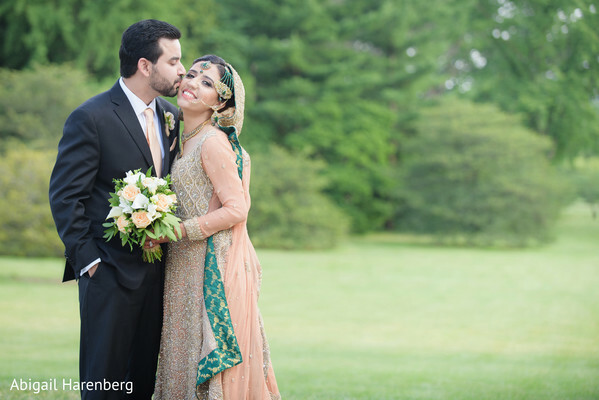 Maharani, you’ll want to visit the full gallery by Abigail Harenberg for so many more inspirational wedding details! Or, click here to view the couple's wedding film by One Media Production that we featured recently! 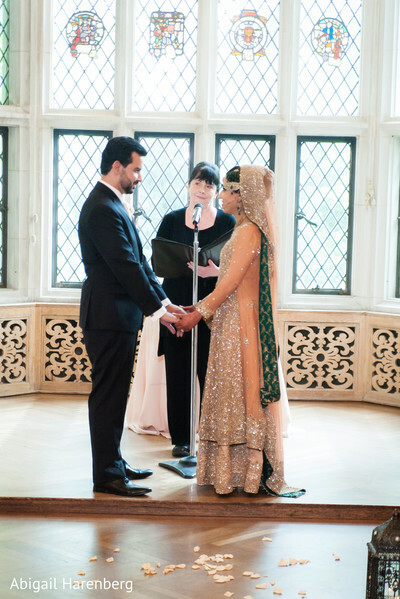 Next up is Maria and Bimal’s beautiful, Pinterest worthy reception soiree with entertainment by Creative Sounds! We’ll be back in a jiffy!